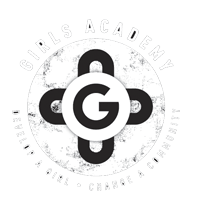 Our mission put simply is to Develop a Girl • Change a Community. Aboriginal and Torres Straight Islander girls face some of the greatest social disadvantage of our nations population. This gap appears in health, education, employment opportunities, earning capacity and life span. Women play a pivotal role in Australian Aboriginal and Torres Strait Islander families and communities, yet their needs are often overlooked more than their male counterparts. A confident, educated Indigenous girl is an active and productive community member. She is the most influential force in her family and wider community to break the cycle of disadvantage and to build a healthier family, a stronger community, and a brighter future. We want Aboriginal and Torres Strait Islander girls to be empowered and motivated to achieve educational success, which in turn results in improved outcomes for their health, emotional well-being, employment opportunities and life expectancy. We want this success to be passed down from generation to generation, ultimately CLOSING THE GAP that exists between Indigenous and non-Indigenous Australian measures of well-being.